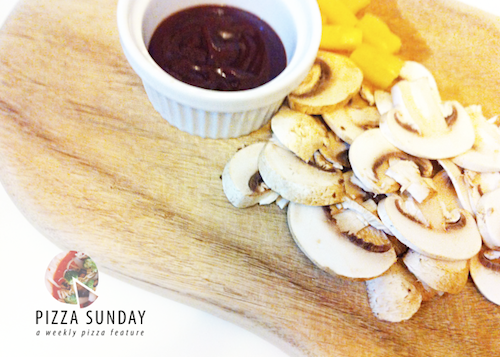 This week, although we were prepared for our Sunday Pizza night, I took the easy route & had my go-to pizza topping - mushroom & pineapple with bbq sauce. It is always good, and a convenient favourite to have when we have plans on Sunday afternoons. Our pizzas weren't put in the oven until 8.30pm this evening so I completely forgot to take a pizza photo, but I am sure you get the gist. And anyway, this pizza will win you over solely on how good and wholesome it tastes as a vegetarian alternative to the Hawaiian family classic. Open it up for next Sunday pizza night! Cheese + pineapple, ham + pineapple, chicken + pineapple etc etc It is endless!